The largest commercial centre in the world Citédes Civilisations Du Vin Bordeaux (The City of Bordeaux Wine Civilizations) which presented Azeri wines SAVALAN of ASPI AGRO LLC was opened on June 2, 2016 in the French city of Bordeaux. Tasting process was led by the owner of the title Best Sommelier of the World 2007 Andreas Larsson and volatile oenologist of world scale Michel Rolland. After high ratings of honoured guests SAVALAN wines took a worthy place in the wine vault museum of The City of Bordeaux Wine Civilizations. In addition to the wine vault, the areas of exhibition, shop, tasting and restaurant and areas of thematic seminars are also located in the town. Unique, innovative and dynamic museum expects up to 500 thousand visitors a year and offers a journey through time and space where they will get acquainted with the development of civilization in terms of winemaking. The availability of the Azeri SAVALAN wine in the wine town is an important strategic step at the international level which will provide an even greater awareness of this product in Europe in the future. 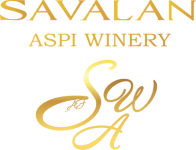 SAVALAN Syrah was awarded a gold medal at Interwine Challenge, Guangzhou.